Trade between Canada and South Korea will continue to grow as Canadian and Korean firms benefit from the Korean - Canadian Free Trade Agreement (CKFTA). This free trade agreement eliminates virtually all duty on Canadian goods sent to Canada starting in 2019. 95% of Canada’s exports will benefit from duty-free access into Korea. For many products still subject to duties in Korea, preferential tariff treatment is offered in the form of reduced tariffs. Tariffs are reduced on January 1st of each year until remaining duties for goods covered under the CKFTA are eliminated. Full implementation of CKFTA is scheduled for 2032 when Korean tariffs will be eliminated on over 99% of Canada’s exports. Canadian companies rely on low cost parcel delivery from Canada to South Korea in order to reach their customers and suppliers. Jet Worldwide provides low cost parcel shipping options from Vancouver, Toronto, Montreal, Ottawa and all Canada for delivery to Seoul and all South Korea. Canada Post offers low cost delivery for individuals shipping small packages to South Korea and all of South Korea. 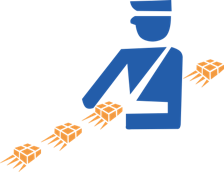 Packages sent via Canada Post are imported to South Korea and delivered by Korea Post (the state owned provider of postal services in South Korea). While the delivery time and service can be uncertain, Canada Post International Small Packet Surface Service to South Korea offers the lowest cost for shipping packages under 2 kg . Get a quote to compare your shipping costs to Korea. South Korea is a growing shipping destination for Canadian e-commerce merchants using on-line shopping platforms including Shopify, Big Commerce, Wix and other sites. Canada Post offers discounts via such e-commerce shipping platforms and is the lowest cost choice for small parcels. Canada Post Small Packet Service offers a low cost to South Korea for shipments under 4 pounds / 2 kilograms. 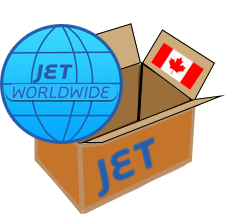 Jet Worldwide offers low cost parcel delivery from Canada to South Korea for larger parcels shipped from Canadian e-commerce parcels. Contact our Canadian team for prices on shipping heavy and multilot / multi parcel international shipments from Canada. FedEx and UPS are the largest carriers in North America and offer dependable international express services from Toronto, Vancouver, Calgary, Montreal, Ottawa and all of Canada to Athens and across South Korea. Get a quote to compare you shipping costs to Korea from Canada. Jet Worldwide has been providing international delivery from Canada for over 35 years and offers low cost parcel delivery from Canada to South Korea for larger parcels. 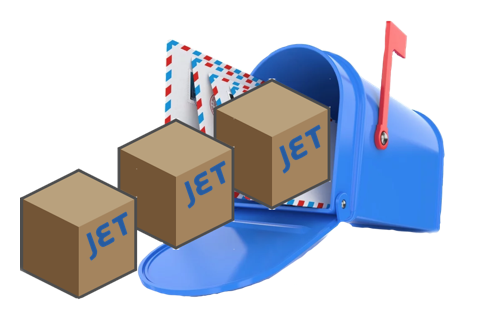 Jet Canada provides low cost for shipping larger parcels from Canada for delivery to Seoul, Busan, Incheon, Daegu and all South Korea. Purolator Courier, a subsidiary of Canada Post, offers international parcel delivery from Canada to South Korea via partners, such as UPS. South Korea customs assessed duty and taxes on the CIF value (Cost of the goods being imported plus the cost for transportation and insurance). South Korea uses the Harmonized System HS codes to assess the rate of duty. As is the case for all international shipments, Korean Customs requires a clear commercial invoice. Most import aspects include the complete address of the receiver, a correct phone number and exact description and value of each item being sent. Customs tariff applicable on imported goods depend on HS CodesCustoms duties vary from 0% - 40% is levied on CIF value. The standard rate of tax (VAT ) is 10%. The “De minimis Value” in South Korea – or the value of shipments that can enter the country free of duty and tax – is $150,000 KRW (around $170 CAD). Korean customs is very strict in screening such shipments. International shipments sent to Korea must have an accurate consignee address (including telephone number and email) and concise description of the item being imported. To benefit from tariff preferences in South Korea under CKFTA, Canadian exporters must ensure goods meet applicable rules of origin. The importer must have a valid certificate of origin in her or his possession at the time of importation.